Could Optus Stadium host an AFL Grand Final? Source: The West Australian, 20 January 2018. The head of Optus Stadium believes major renovations at the MCG could pave the way for Perth’s 60,000-seat venue to host an historic AFL grand final, the first outside Melbourne. As 110,000 people prepare for their first look inside the stadium tomorrow, Optus Stadium chief executive Mike McKenna told The Weekend the venue was the best in Australia outside the MCG to host the grand final. Mr McKenna said he would encourage the State Government to “go hard” for the right to host the AFL grand final if the opportunity arose, and believed a possible $1 billion redevelopment of the MCG and its surrounds in the next decade could provide that opportunity. 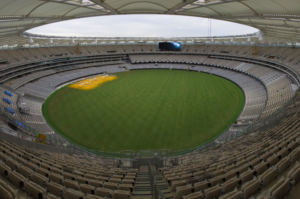 In a further sign that Perth would become a major player on the Australian sporting calendar, Football Federation Australia boss David Gallop said Optus Stadium could possibly host a pre-World Cup friendly between the Socceroos and a European powerhouse in March. Optus Stadium was up against most major States to host the Socceroos clash but Perth’s proximity to Europe was in its favour. Mr McKenna said the stadium should “bid for whatever is going”. “It would be fantastic for us to be able to bid for and win an AFL grand final and I don’t think that’s the last thing we should bid for,” he said. “If that (grand final) opportunity comes up, we’d encourage the State Government to go hard at trying to win it. “The MCG are talking about renovations, so if they start doing things to the stadium there is an opportunity. Sports Minister Mick Murray said the Government would strongly consider bidding for the grand final if there was an opportunity. 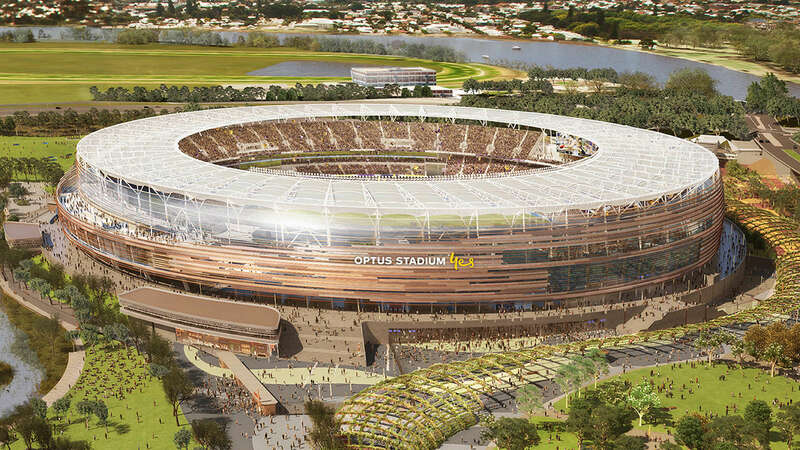 A decision by the NSW Government in 2016 to convert the 84,000-seat ANZ Stadium to a permanent rectangular venue means Optus Stadium has the second highest capacity for Australian Rules football, behind the MCG. Etihad Stadium (56,000), Adelaide Oval (53,000) and the Sydney Cricket Ground (48,000) are smaller venues. Mr McKenna revealed the stadium was working with Uber and other ride-sharing companies to provide access to the venue.